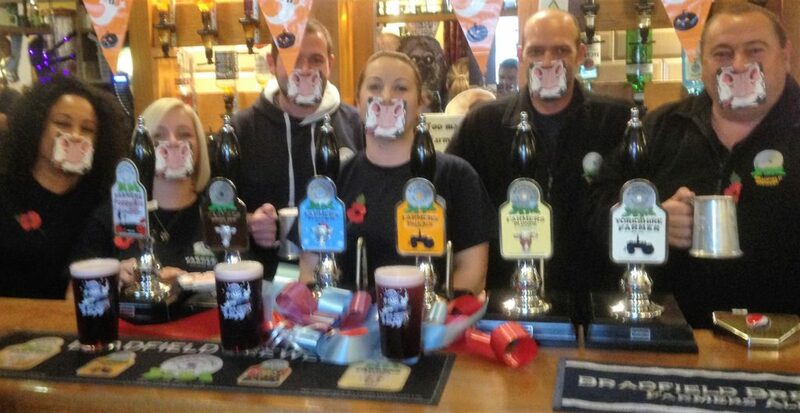 Keeping in with tradition, our brewery tap, The Nags Head hosted the launch of our popular Christmas ale, Farmers Belgian Blue. The first pint of the first brew for 2018 was pulled by Bradfield Brewery’s John Gill and head brewer Paul Ward on Thursday 25th October at 4pm! In it’s 13th brewing year this seasonal ale has become an iconic Christmas Beer and it’s release is a occasion not to missed for many! Plum Bitter Adds a little bit of Fruit to the menu! Based on a busy working farm in the picturesque village of Bradfield in the Peak District, Bradfield Brewery have gone from milking 100 cows a day to brewing over 100,000 pints of beer a week!